Children's Hospital Los Angeles is a nonprofit, academic, pediatric medical center. They provide the highest quality healthcare for children in our region and beyond. Each year, they provide over 93,000 children with pediatric health care in a setting designed just for their needs. They are a research hospital and believe that it is through research that they can improve the delivery of care to the children of the future. Children's Hospital Los Angeles is where Joshua had his final surgery and the one we worried about the most. Vaughn A. Starnes M.D., did a wonderful job correcting our son's double outlet right ventricle. 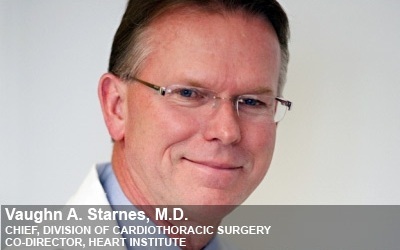 Thank you Dr. Starnes for your excellent work and compassion!